Xexec wins Flexible and Voluntary Benefits Provider of the Year! 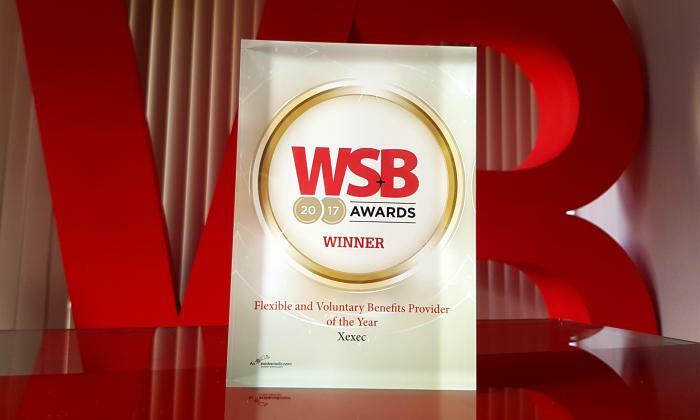 We're delighted to announce that we’ve won Flexible and Voluntary Benefits Provider of the Year at this year's Workplace Savings & Benefits (WSB) Awards. The awards celebrate excellence amongst employers and providers, acknowledging those that have done the most to help employers and their staff over the past year, so we’re very happy that our efforts have been recognised by the team as WSB. Our submission centred on our new suite of voluntary benefits, designed to help organisations address issues around employee motivation and retention and the only UK voluntary benefits package to incorporate lifestyle concierge services. We’d like to thank our hardworking staff, the team at Cancer Research UK (who’s case study formed a major part of our submission) and, of course, Workplace Savings & Benefits for continuing to celebrate industry achievements in employee benefits. Contact us below to learn more about how our employee discount portal / reward and recognition software can help your organisation engage employees.